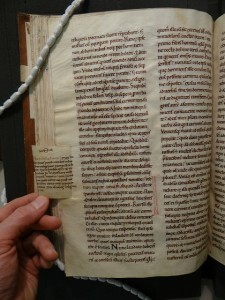 This event is organized by the Bodleian Libraries’ Department of Special Collections. ‘The Web’, in the 25 years of its existence, has become deeply ingrained in modern life: it is where we find information, communicate, research, share ideas, shop, get entertained, set and follow trends and, increasingly, live our social lives. As much as we rely on traditional paper archives today to find out about the past, for anyone trying to understand life in the late 20th and early 21st century, archived websites will be an invaluable resource. 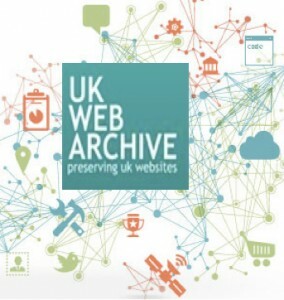 Join us and our expert panel for an afternoon of exploring the archives of the UK web space, focusing on their potential use for research and teaching. Short presentations will introduce the resources and tools available for web archives research in the UK, and the opportunities (and challenges) they come with in theory and practice: from web archives curation, preservation and research tool development at the British Library, to current research in the Big UK Domain Data for the Arts and Humanities (BUDDAH) Project and at the Oxford Internet Institute. Afterwards there will be plenty of time for questions and discussion – your chance to ask everything you ever wanted to know about web archives and to contribute your thoughts and ideas to an emerging discipline. Jason Webber is the Web Archiving Engagement and Liaison Manager at the British Library. He and his colleague Sabine Hartmann are working with the UK Web Archive and the Legal Deposit Web Archive. Jane Winters is Professor of Digital History at the Institute of Historical Research, and Principal Investigator in the BUDDAH Project. Gareth Millward is a Research Fellow at the London School of Hygiene and Tropical Medicine and one of the BUDDAH Project bursary holders. Ralph Schroeder is a Senior Research Fellow at the Oxford Internet Institute. 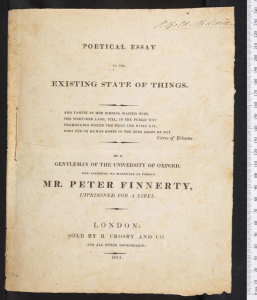 Yesterday, in a ceremony at the Weston Library, Bodley’s Librarian Richard Ovenden announced the Bodleian’s latest acquisition and its 12 millionth printed book: a formerly lost pamphlet containing a “poetical essay” by an 18-year-old Percy Bysshe Shelley (described on the pamphlet’s title page only as “a gentleman of the University of Oxford”). The pamphlet was printed in Oxford in 1811, rediscovered in 2006, and recently donated to the Bodleian by Mr Brian Fenwick-Smith. 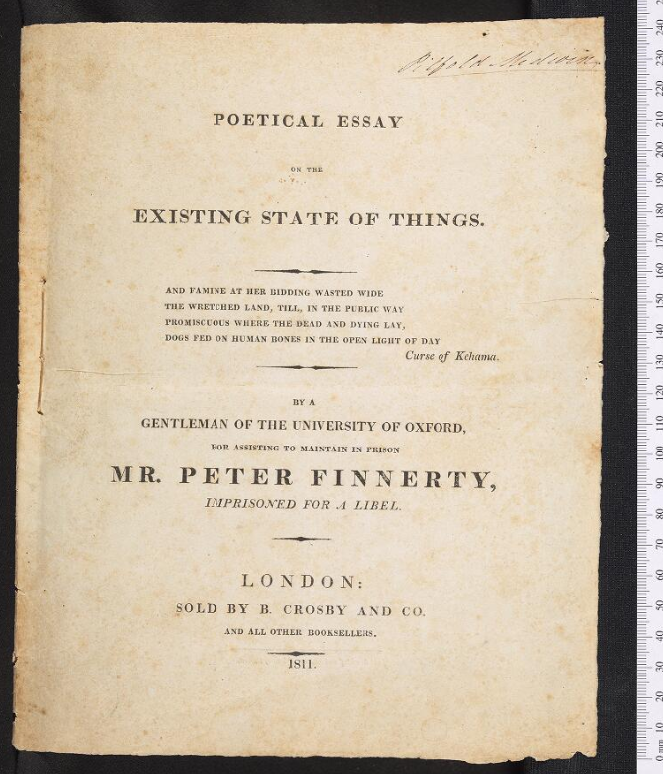 As challenging as it has been to digitize such a recent acquisition, which even yesterday was still in the process of being catalogued, we are proud to have been involved in this event, and pleased that this remarkable addition to the Bodleian’s collection is being shared with web users worldwide. Please meet near the Information Desk in Blackwell Hall, Weston Library (map) at 15.25. If you are already in the Library, you can find the Centre for Digital Scholarship on the first floor of the Weston Library, through the Mackerras Reading Room and around the gallery. Much of our research focuses on understanding the behaviour of individual molecules when they become energised following absorption of light or collision with an electron, both very common processes. Advancing our knowledge of such molecular behaviour has widespread applications in areas including atmospheric chemistry, astrochemistry, industrial processes, analytical instrumentation, molecular structure determination, and molecular synthesis. Usually, the energised molecules undergo a variety of fragmentation processes. The basic physics of a fragmentation process determines the speed of each fragment and the direction in which it flies away from the other fragments, and if we can measure these speeds and directions then we can ‘reverse engineer’ the process to learn about the underlying physics. We have recently developed a new tool for recording this information, in the form of the Pixel Imaging Mass Spectrometry (PImMS) camera. By some measures the fastest camera in the world, the PImMS camera allows us to detect individual molecular fragments with a time resolution of nanoseconds, and is now being used around the world in a variety of experiments in the areas described above. I will present some of the science underlying the development of the camera, and will also highlight some of the new science made possible by the PImMS technology. 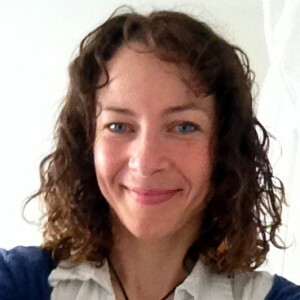 Claire Vallance is a Professor of Physical Chemistry in the Department of Chemistry and Tutorial Fellow in Physical Chemistry at Hertford College, University of Oxford. She has a variety of research interests, including chemical reaction dynamics, applications of velocity-map and spatial-map imaging to mass spectrometry, and the development of laser spectroscopy techniques for microfluidics and chemical sensing applications, and is a co-inventor of the PImMS ultrafast imaging camera. In addition to her research activities, Claire is active in a wide range of teaching and outreach activities within the Department of Chemistry and Hertford College. Many thanks to the wonderful people who have sent us hugely engaging and detailed answers to our DIY Digitization interview questions via email. This input will be invaluable for our project and it is fascinating to read about scholars’ research practices and personal experiences in this area. If you’ve taken your own photographs of Special Collections in the course of your research, and you’d be willing to answer some questions on the subject of DIY Digitization by email, please get in touch with Judith Siefring, via email in the format firstname.lastname@bodleian.ox.ac.uk. Your views would be greatly appreciated! Please meet near the Information Desk in Blackwell Hall, Weston Library (map) at 9.55. If you are already in the Library, you can find the Centre for Digital Scholarship on the first floor of the Weston Library, through the Mackerras Reading Room and around the gallery. Please note that all bags will need to be left in lockers (£1 returnable deposit). Join us for a day of discovery and investigation as we aim to list the contents of some of the Bodleian’s albums of scraps, clippings, and odds and ends – an often overlooked treasure trove for social historians. Do you work with early modern drama or music? Come to a workshop on sonifying the Early Modern stage! Please meet near the Information Desk in Blackwell Hall, Weston Library (map) at 10.25. If you are already in the Library, you can find the Centre for Digital Scholarship on the first floor of the Weston Library, through the Mackerras Reading Room and around the gallery. Please note that all bags will need to be left in lockers (£1 returnable deposit). 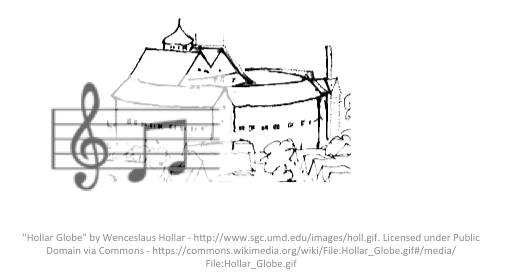 Compared to visualization, approaching textual analysis through sonification is under-studied. We invite people who work with Early Modern drama, literature, and music to join us at the this workshop. We will discuss approaches to sound design that will increase our understanding of text and its sonification: how best can we present the text; what questions can we answer using this approach? This workshop builds on existing work experimenting with Shakespeare’s Hamlet. We will develop sample sounds after the workshop for use with with texts. Iain Emsley is a research associate at the Oxford e-Research Centre, working with the Software Sustainability Institute and the Square Kilometre Array. Currently reading for a Masters in Software Engineering at the University of Oxford, he has organized and attended hack sessions. His research interests include sonification. Pip Willcox co-ordinates the Centre for Digital Scholarship and co-directs the Digital Humanities at Oxford Summer School, convening its introductory strand. With a background in scholarly editing and book history, she is an advocate for engaging new audiences for multidisciplinary scholarship and library collections through digital media. She conceived and ran the Sprint for Shakespeare public campaign and the Bodleian First Folio project. 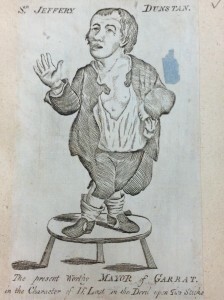 Previous projects include Early English Print in the HathiTrust (ElEPHãT)—a linked semantic prototyping project, Early English Books Online Text Creation Partnership, the Stationers’ Register Online, and the Shakespeare Quartos Archive.